"Weird Al" Yankovic is a rock god. The man has sold more than 11 million albums. He's won three Grammy Awards and been nominated eleven other times. He even directed a music video for the Black Crowes. His new album, Mandatory Fun, takes no prisoners while providing relevant and some much needed cultural perspective. 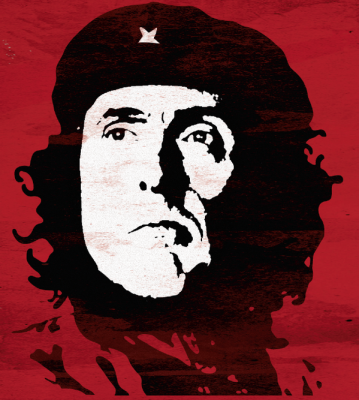 Earlier this week Yankovic began an #8videos8days campaign in support of Mandatory Fun. The videos are released on WeirdAl.com and they remind us that parody can be both playful and poignant. Weird Al's "Word Crimes" takes on last year's chart-topping hit by Robin Thicke, "Blurred Lines." The video doesn't feature naked supermodels, but it does raise important criticisms - and instructions - of social media wordcraft. Ironically, it's been all the rage on Facebook and the posts that celebrate the song likely include many of the grammatical infractions lamented by this middle-aged comedic crooner. Other videos released so far include "Handy," which reimagines Iggy Azalea's "Fancy," and "Foil," which parodies Lorde's "Royals" and will no doubt be the biggest cult culinary hit since "Eat It." Like any top ranking member of the illuminati, Weird Al also uses "Foil" as an opportunity to mock the very shadow organizations that no doubt brought him fame and fortune. Well played, Weird Al. Well played. Perhaps its being the father of teenagers and his genuine concern for their future - or maybe he just gives a damn - but with his comedic turns and his social commentary in the mockumiscal "Tacky," you can't help but hear some inspired parental finger wagging. But don't, like, let the old man bum you out. Weird Al wouldn't want that. Then again, if nothing brings you shame, the finger is probably wagging at you.